Todd Street Lawyer has now closed for the Christmas break. We will return to work on Monday 14 January 2019 at 9am. If you have any urgent queries during the break, you can contact us by email at todd@streetlawyer.com.au. 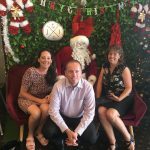 Todd, Linda and Candice wish you all a very Merry Christmas and a Happy New Year. See you again next year! « Todd is now a registered Family Dispute Resolution Practitioner!